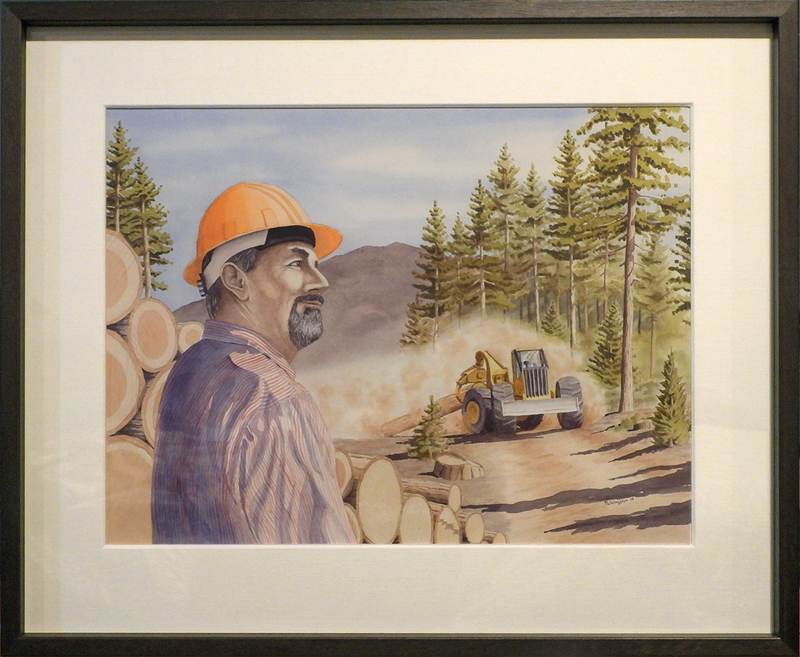 This entry was posted in Forestry, Watercolors, Watercolour and tagged Art Auction, auction, forestry, forestry education, Jim Headrick, Logger of the Year, loggers, logging, Sierra Cascade Logging Conference, watercolor, watercolour by foresterartist. Bookmark the permalink. Outstanding tribute. Cheers to Jim. Beautiful work and concept event. That’s very kind of you to say, and I couldn’t agree more about the man. Part of my life for a long time. He was and is a great man! Beautiful work!! Thank you so much Missy. I’m sorry for your loss. It was a privilege to paint him. Thank you for this beautiful tribute to my cousin Jim. He will forever be in our hearts. It was my pleasure to do this painting of Jim. I’ve had opportunity to speak to a number of family members including Liz and I hope the family finds comfort from the painting. Liz has it now. I’ll be blogging about the auction tonight. Hi Tim, what a beautiful painting in rememberence to Jim Headrick. I suppose you worked with him a long time. No doubt the family will find comfort from your painting. I hope so Chatou. He was a very good man.